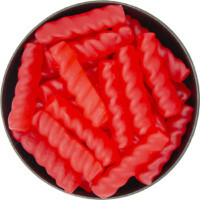 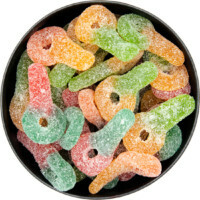 Chewy, sweet and cleverly shaped into alphabet letters, you can play with these fruit flavoured gummies then eat them! 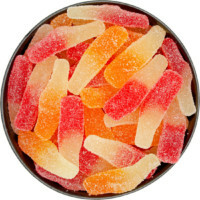 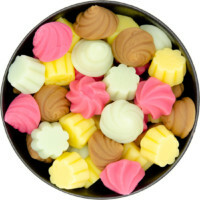 Flavours include lemon, lime, orange, strawberry, and blue raspberry. 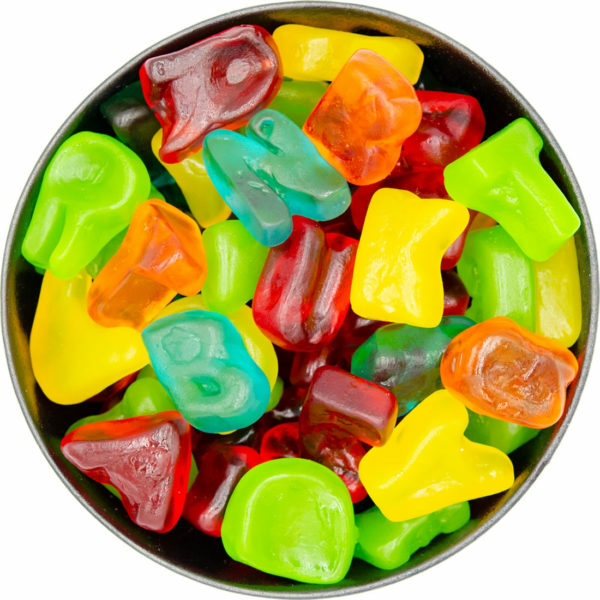 Corn Syrup, Sugar, Gelatin, Water, Dextrose, Citric Acid, Lactic Acid, Sodium Citrate, Artificial Flavours, Carrot And Blackcurrant Juices For Colour, Glazing agent: Carnauba Wax, Palm Oil, Colours: Tumeric, Carmine, FD&C Blue #1, Paprika, Oleoresin.